and healthy food, and help save our climate. help the environment than anything else. Take a stand against the loss of our precious forests and pledge to buy good wood! One of the main causes of forest lost is illegal logging, which is fed by high demand for timber. valuable rainforests. You can help stop this. Businesses will ultimately listen to their customers. save our forests - always look for the FSC logo on products you buy. accreditation services for companies and organizations interested in responsible forestry. We love cats, but do not foolishly disregard the damage cats can do to the native environment. they can to provide care and compassion to the large amount of animals in need. You can help them a great deal by even small donations. commit to it. 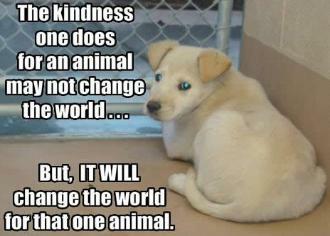 When you decide to adopt, please give a much-needed home to a shelter animal. a good home and a safe place to call their own. Do not keep illegal or undomesticated animals or wildlife as pets! Click here for a page on exotic pets. dire consequences for natural habitats and wildlife. bought at a pet store or exotic pet - the consequences could extend further than you may imagine. habitat to keep as a pet (or for any other reason, for that matter). Optional suggestion only, no specific affiliates or endorsements! native wildlife and land protection.